Apple's revamped smaller iMac has been rumored for some time, and is widely expected to debut this fall, but 9to5mac's sources claim the device will launch next week, specifically. Initial inventory may be limited, with Apple ramping up production heading into November, it was said. Last month, supply chain rumors claimed the 21.5-inch iMac with 4K Retina display had gone into production. The desktop is expected to boast a 4,096-by-2,304-pixel screen, known as 4K resolution. With about 218 pixels per inch, that's a pixel density identical to Apple's 27-inch iMac with 5K Retina display, which debuted last October. With the exception of the new Retina display, the smaller iMac is expected to sport largely the same external design as the current, non-Retina model. Apple most recently refreshed its 21.5-inch iMac offerings in June of last year with the introduction of a low-end 1.4GHz model priced at $1,099. 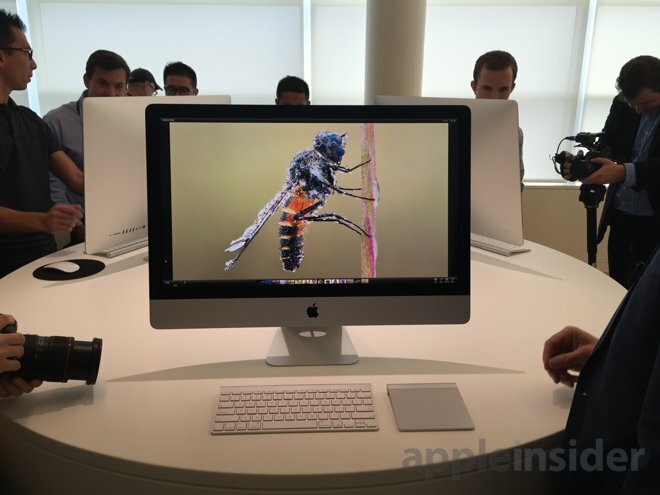 The company has yet to officially announce plans for a 4K version of its smaller all-in-one, but code discovered in OS X 10.11 El Capitan referred to an unknown iMac model with a 4,096-by-2,304-pixel display. It's also possible that new Mac accessories could become available next week alongside the updated iMac. Filings with the Federal Communications Commission from last month revealed that Apple has a revamped Magic Mouse and wireless keyboard in the works, both of which with integrated rechargeable batteries and support for Bluetooth Low Energy.